In news that comes as little surprise to those who had followed the outdoor game drumbeat since the end of the 2013-14 season, the Los Angeles Kings and San Jose Sharks will continue the NHL’s Stadium Series on Saturday, February 21, 2015. Announced by the NHL today, the game will be broadcast by NBCSN and will take place at Levi’s Stadium in Santa Clara, California, a suburb of San Jose. 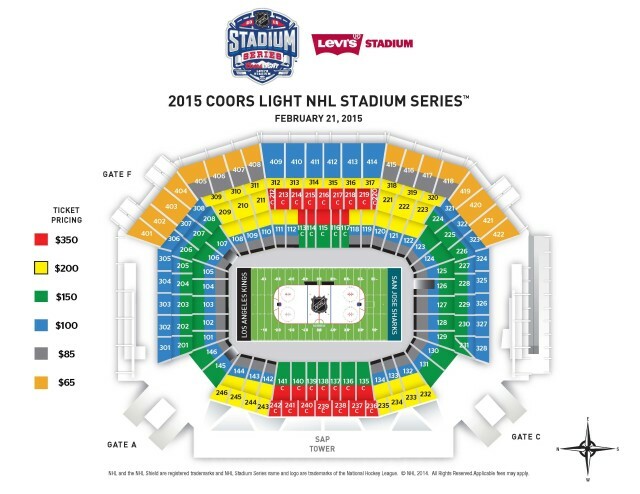 The game is under the Coors Light Stadium Series banner and is the only outdoor game to be announced for the 2014-15 season other than the annual Winter Classic, which on January 1 will pit the Washington Capitals and Chicago Blackhawks against each other at a Washington, D.C.-area stadium to be announced at a later date. Beginning at 10:00 a.m. PT tomorrow, Kings season ticket members will have an opportunity to purchase tickets on a first-come, first-served basis as supplies last. Tickets will cost from $65 to $350. 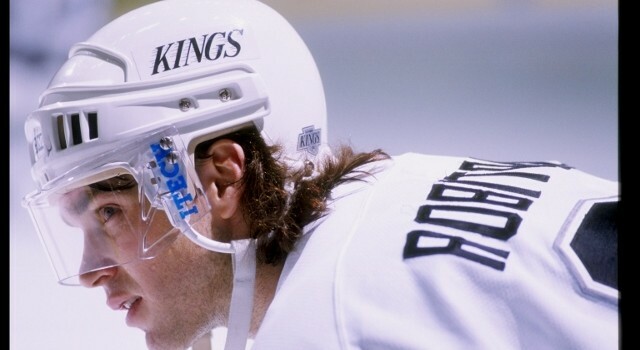 Of course, this does raise the question of whether the Kings and Sharks will wear commemorative jerseys. According to David Pollak of the San Jose Mercury News, you can bet on that. #SJSharks Tortora says “unique” uniforms will be worn by both teams. And selling out Levi’s not a major concern. 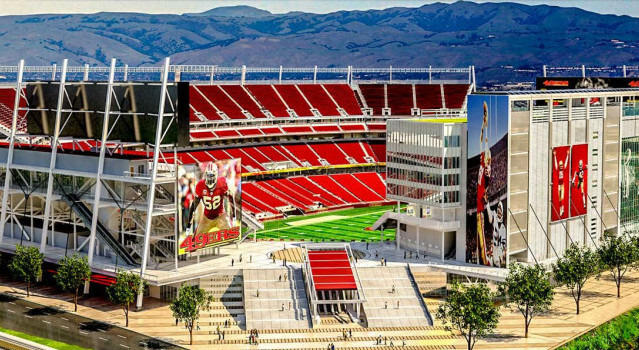 Pollak referenced better sightlines, the configuration of a football field and a higher capacity as the reasons why Levi’s Stadium was selected over picturesque AT&T Park in San Francisco. More on the event from Pollak can be found here. * To date, there have been 13 regular-season outdoor NHL games contested since 2003-04. Of those 13 games, seven have been hosted in football venues, while six have been hosted in baseball stadiums. * The NHL’s 13 regular-season outdoor games have drawn total attendance of 740,251 – an average of 56,942 per game. * A total of 448 players and head coaches have participated in the League’s 13 regular-season outdoor games to date. * Road teams are 10-2-1, including a 5-1-0 mark during the 2013-14 NHL season. * The Sharks and Kings have met 41 times (regular season and playoffs) since the start of the 2010-11 season, the most of any two clubs in that span. That total includes three postseason meetings, highlighted by seven-game series in each of the last two playoff years. * The Sharks will become the 19th different team to participate in a regular-season outdoor NHL game. * Three players on the Sharks’ active roster have participated in a regular-season outdoor NHL game: Scott Hannan (2011 WC), Tyler Kennedy (2008 and 2011 WC) and Raffi Torres (2003 HC). * Joe Pavelski scored a career-high 41 goals in 2013-14, becoming the fourth player in Sharks history to reach the 40 goal milestone in one season. Only Jonathan Cheechoo (56 in 2005-06), Owen Nolan (44 in 1999-00) and Patrick Marleau (44 in 2009-10) have scored more goals in one season for the club. * The Sharks have made 10 consecutive playoff appearances, the third-longest active streak in North American professional sports (NHL, NFL, MLB, NBA), behind the Detroit Red Wings (23 seasons) and the NBA’s San Antonio Spurs (17seasons). * As part of the 2014 Coors Light NHL Stadium Series, the Kings hosted the Anaheim Ducks at Dodger Stadium in the first regular-season outdoor NHL game played in the U.S. west of the Mississippi River, the southernmost outdoor game in League history and the first-ever outdoor NHL game in California. The start time temperature of 63°F/17°C was the warmest of any regular-season outdoor NHL game. * Of the 22 players on the Kings’ active roster, 18 have participated in a regular-season outdoor NHL game (including goaltender Martin Jones, who served as a backup in 2014’s contest at Dodger Stadium). 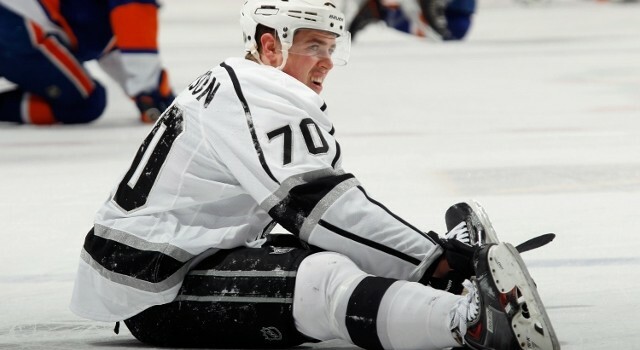 The only players who have not: Matt Greene, Brayden McNabb, Tanner Pearson and Tyler Toffoli. * In 2013-14, the Kings won their second Stanley Cup in franchise history and second in the last three seasons. They clinched the victory in their 26th game of the postseason, the most ever by a Stanley Cup champion and tied for the most by any playoff team. The Kings also became the second team in NHL history to win three Game 7s in one playoff year (following the 2011 Boston Bruins) and the first to win all three games on the road. * Levi’s Stadium, home of the NFL’s San Francisco 49ers, is located in Santa Clara, Calif., and is approximately 8.5 miles northwest of SAP Center at San Jose, the home arena of the Sharks. The stadium hosted its first event on Saturday, Aug. 2, when the San Jose Earthquakes of the MLS defeated the Seattle Sounders 1-0. * The $1.2-billion venue spans 1.85-million square feet, seats approximately 68,500 and includes 170 luxury suites as well as 9,000 club seats. * Levi’s Stadium, which features a green roof atop the suite tower on the west side of the venue, is the first U.S. stadium of its kind to achieve LEED Gold certification as new construction.